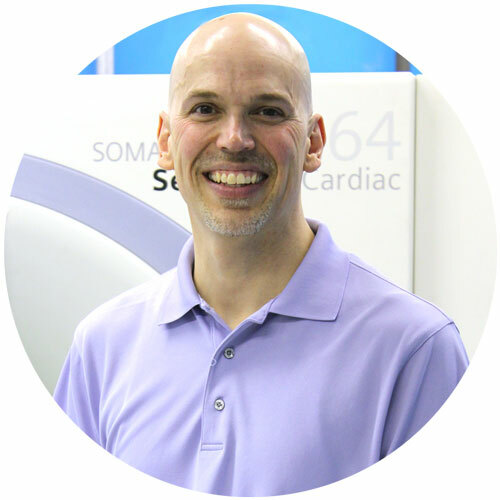 Hello, I’m Gary Dodge, the West Coast Product Specialist for C-arms and X-ray here at Block Imaging. My job is to consult with our customers to find the right solution for their needs. My hope is that each person I assist feels both confident and comfortable with the help I provide them, like they are working with a friend. I really enjoy working at Block Imaging – we have a wonderful culture that lives its mission that people matter and we live out our values everyday with each other and with those we serve. When I’m not at work, I enjoy spending time with my five children. We are a full house with our family, our 4 dogs and our hedgehog, Harvey! I enjoy backpacking, camping, running, competing in triathlons and recently, I’ve taken up reading, as well. My favorite place is the Smokey Mountains - it's my family's favorite spot for a getaway. I enjoy trying new types of food and I'm a big fan of ethnic cuisine, especially sushi. A few things I'm most proud of are my family, knowing sign language, competing in triathlons like Sprint, Olympic to three half-Iron distance (70.3 miles) and one full marathon, as well as surviving the toddlerhood of five children. A perfect weekend for me would consist of camping up north on Lake Michigan with my family.